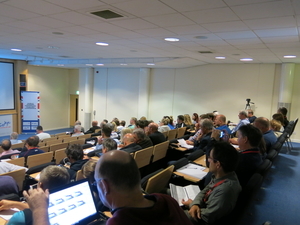 Pentathlon GB hosted last weekend in Manchester the 2017 World Modern Pentathlon Coaches Conference. UIPM Secretary General Shiny Fang opened officially the event on November 11th. For the fifth consecutive year the conference gave to nearly 100 delegates from 16 countries an unique and amazing opportunity to learn and share their experiences. A wide range of topics were presented as anti-doping, training recovery, talent identification, youth competitions, statistics, sport development, team management, as well as technical contributions about fencing and laser-run performances. In addition, some outstanding and inspirational talks were delivered by Dean Clark (Hartpury University); Mark Richardson (GB Olympic Medalist) and Attila Mizer (Modern Pentathlon Olympic and World Champion). Pentathlon GB’s Performance Director Jan Bartu stated “It is of significant importance that the UIPM Secretary General Shiny Fang and her team have for the last 12 months championed the Conference. UIPM support and collaboration demonstrates the recognition given to this Conference and the coaches in our sport”.